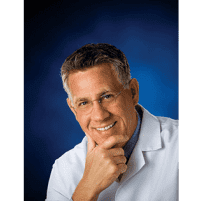 Ingrown Toenail Specialist - Fishers, IN & Anderson, IN: Lawrence E. Lloyd, DPM, FACFAS: Board Certified Podiatrist: Lloyd Podiatry Group, Inc.
An ingrown toenail can become so severe, the throbbing pain makes it unbearably uncomfortable just to stand or walk. Before your ingrown toenail gets any worse, have it treated with board-certified podiatrist Lawrence E. Lloyd, DPM, FACFAS, of Lloyd Podiatry Group, Inc. With two convenient locations in Anderson and Fishers, Indiana, you have a clinic nearby to get the care you need. Book your ingrown toenail exam online or call your nearest office directly. As the name implies, an ingrown toenail develops when your nail grows into your skin, rather than over it. In most cases, ingrown toenails occur because of improper nail trimming. For instance, if you tear your toenails or round out the edges, the nail gradually starts digging into your skin as it grows, causing inflammation. Without early intervention and proper treatment, ingrown toenails can become so severe, they get infected. It’s important to know the symptoms, so you know when it’s time to start treatment. Whether you’re suffering through your first ingrown toenail, or if you seem to develop them on a regular basis, you have options for treatment at Lloyd Podiatry Group. Your ingrown toenail treatment plan depends on the severity of your condition and whether you have an underlying infection. For minor ingrown toenails, Dr. Lloyd may place some packing material — like gauze — underneath your nail to encourage it to grow over your skin, rather than into it. He can show you how to change the packing material at home to help your ingrown toenail heal. If your toenail is severely ingrown, you could need surgery, which is performed right in the office at Lloyd Podiatry Group. Ingrown toenail surgery begins with thoroughly numbing your toe. After gently trimming away and removing the ingrown part of your nail, Dr. Lloyd applies a topical antibacterial solution and counsels you on caring for your treated toe at home. But if ingrown toenails continue developing, possibly due to your inherited nail shape, Dr. Lloyd could recommend removing the nail entirely. If needed, he can treat your nail’s growth center with a chemical or laser solution to prevent future nail growth. Newest techniques make almost pain-free surgical removal of the toenail or a portion of the nail easy. It’s no longer necessary to be hospitalized if you follow some simple pre-surgical protocol. Save time, money, and pain with Dr. Lloyd’s advanced technique! Get relief from ingrown toenail pain by booking an evaluation at Lloyd Podiatry Group today. Click the online booking feature or call either location to schedule.